Smoking affects the health of the lungs. It actually is the leading cause of lung cancer and other lung disorders. To keep your respiratory system healthy, you should avoid smoking. Do not even try, as smoking can be addicting. If you are already hooked to it, better stop the vice before it gets worse. You might also want to go through a smoking cessation program to help you quit. Minimize exposure to air pollutants. The more industrialized the surroundings become, the worse air pollution gets. The respiratory system filters out the air pollutants containing toxins that we breathe in every day. If your respiratory system is not healthy, these toxins cannot be filtered properly, causing diseases. At the same time, even if it is healthy to start with, constant exposure to harmful air pollutants can cause your system’s health to deteriorate. As much as possible, limit your exposure to air pollutants, chemicals, and other harmful substances. Wear protective gears when around such substances. Breathing techniques can help improve the capacity of your lungs, thereby also improving your health. You can have a respiratory therapist from a respectable Home Care Company in La Mesa California teach you the techniques appropriate for your current situation. You can also go for exercises that your doctor may recommend. 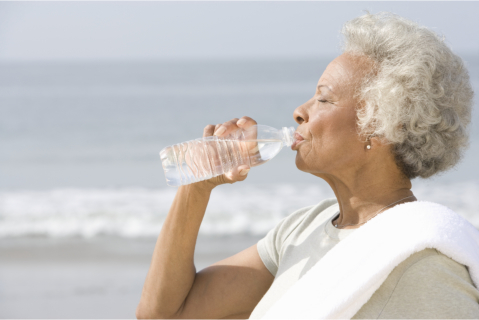 Dehydration thickens the mucus lining the airways and the lungs. As a result, overall respiration slows down. You get more prone to various illnesses. Combat dehydration by drinking plenty of liquids. This does not only pertain to water but also to juices, soups, and more. Being hydrated can help keep the mucus lining thin. Excess weight can also affect your respiratory system’s health. It stresses your lungs. It compresses the muscles within the respiratory system, making them work harder than usual. Strive hard to lose the extra weight you are carrying. Exercise regularly. Follow a nutrient-filled diet. Get enough sleep. Sunshine Home Health Aide Org., Inc. provides home care services that our clients need in their homes, helping them in their current medical situations. If you’d like to know how our team can specifically assist you, contact us now!